A comfortable and properly fitted grip is essential to a good release. In addition to adding to your enjoyment of the game and preventing sport injury, a properly fit grip can add revolutions, create more ball speed and make the ball feel lighter. Adding finger and/or thumb inserts to your equipment will also give you consistent feel when using a variety of different bowling balls.Turbo 2-N-1 Grips offers the greatest selection of styles, textures, sizes and colors to ensure you get the fit and feel that's right for you. 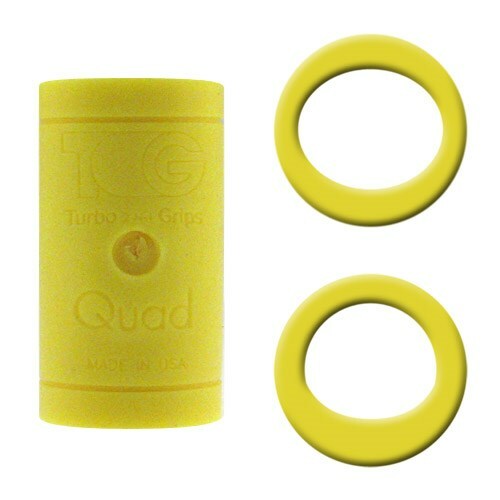 Due to the time it takes to produce the Turbo Grips Quad Yellow Soft Power Lift/Oval Mesh Inserts ball it will ship in immediately. We cannot ship this ball outside the United States.